PROSTAY GLOSS (Top Coat) is rated 4.3 out of 5 by 8. Rated 5 out of 5 by Theresa from Fantastic shine I was a little unsure about purchasing this but I am so glad I did. It makes the finish on my OPI polish look fabulous. As well as shine it ensures the polish stays in place for over a week. its feels good and really does give you a protective coating. Well worth the money. Rated 1 out of 5 by Ivana from Not shiny at all This top coat leaves more of a matte finish than shine. 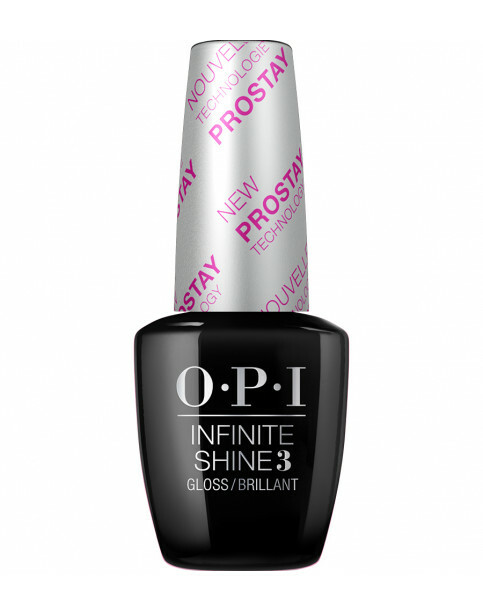 Infinite shine2 nail polish has amazing colors and before applying this top coat is shiny but then after you apply this top coat it loses it and becomes matte. Not sure how it can be adverised as infinite shine since it actually destroys the shine you have before applying this coat. Overall the infinite shine collection not worth the money, starts chipping after 2-3 days. Not planing to buy again. Rated 5 out of 5 by Bernz from Shiney Bought for a special occasion and it didn’t disappoint. So easy to use and added a lovely shiney finish to my nails that lasted. Rated 3 out of 5 by Brenda from The shine is incredible but doesn’t last Perhaps a day and a half and then you need to reapply. Hand cream makes it dull too. It is a shame. Rated 5 out of 5 by Skibum from Impressive product This is probably the best top coat I’ve ever used. It’s lovely & glossy & definitely extends your manicure. I usually add a further coat after a couple of days. Rated 5 out of 5 by Bev1 from Fab shine Really makes your nails shine and look fabulous..